This week, Michelle Ye (葉璇) was photographed kissing a mysterious man on the streets of Shanghai. The man was later identified to be a well-known fashion stylist, known as Mr. Little Mo (小默先生). The couple has reportedly been dating for several months. Mr. Little Mo primary serves as a stylist for wealthy women and celebrities in China. At the same time, he is also the image consultant for Mainland television stations, magazines, films, as well as international beauty pageants. 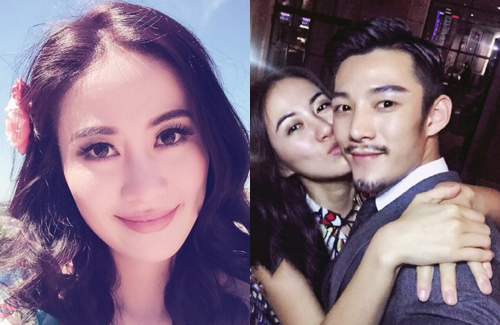 Following the exposure the couple’s relationship, netizens backtracked on Michelle’s Weibo and noted many hints that implied their relationship. The pair has been exchanging messages on Weibo for some time, and appeared to have traveled to France together in May for work. She’s getting more beautiful. She’s a rare beauty with brains and good personality. Love her! Michelle is still as blunt as ever. I think it’s kind of rude of her to call out her friend like that though, and announce to the world that her friend doesn’t think her boyfriend’s cute. I mean, wth? Say this in private or as a joke to the bf, but not to the world. Now this friend of hers will probably feel mad awkward when she’s around him. Unnecessary.